Hi blog friends! Sorry my little blog has been so quiet...I just have some things going on right now. But today it is time for another new challenge at The Card Concept!! 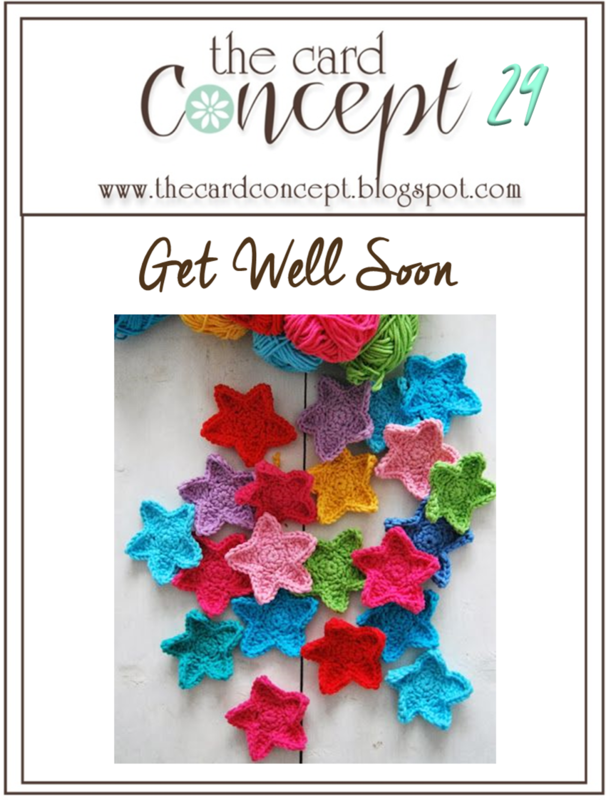 For my card, I used the Get Well sentiment and muted tones of all the amazing colors in the crocheted stars! I've used an eclectic mix of patterned papers, and gave it a bit of a spring feel with the wood veneer & paper flowers. Check it out! Make an A2 card from white cardstock. Cut two blocks of patterned paper slightly smaller, and adhere to the front. Diecut the stitched rectangle from yellow paper. Adhere to the front at an angle, then trim off the excess from each edge. Layer green & pink paper blocks to the top. Diecut the circle from numbered paper, and adhere it to the top with foam dots. Diecut the banner from white cardstock & stamp the sentiment to it. Adhere it sentiment banner to the top of the circle with foam dots. accent around the banner with paper flowers & wood veneer accents. This challenge will end on Monday, February 16th at Noon (PST). So be sure to join in on the fun before then...who knows, you could be picked as a favorite! That is all that I have for you today! If you want to see sneak peeks of future projects & keep up with me on Facebook, please head on over & like the Lea Lawson Creates page!! And don't forget to become a follower in the right sidebar so you never miss a post. Have an awesome rest of your day!! What a great mix of patterns/papers. I really love that fox head too! So cool!!! Love it, Lea! Great patterned paper and what a cute fox!!! Beautiful card, Lea! 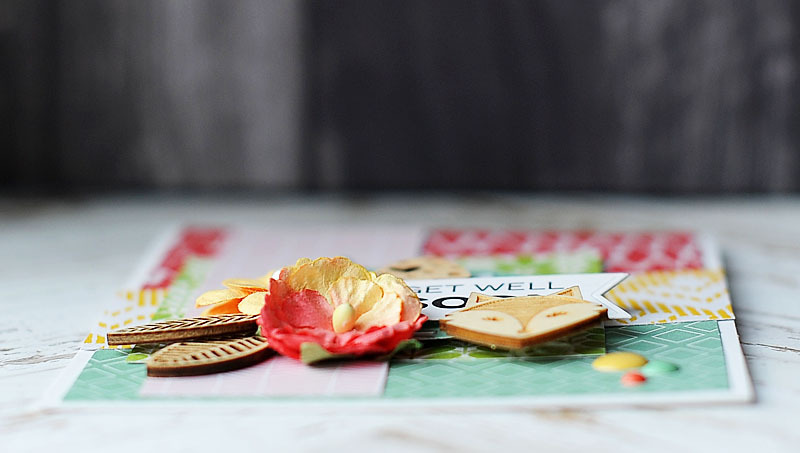 Love the mix of papers and sweet fox! Love all the elements on your card, lots of fun details! Great use of patterns and wood embellies! LOVE this! Oh my goodness!!! I love this so much!!! The muted colors are so lovely! And all of the embellishments are sooooooo fun!! LOVE this! It amazes me how many patterns and elements you've combined on this card yet they all work together perfectly. Wow! This is beautiful. I love all of the textures and elements you used to bring your card together! Thanks for playing along with us at Colour Me! Another beauty! I love this Lea! The little fox, flowers and little embellies are wonderful together! 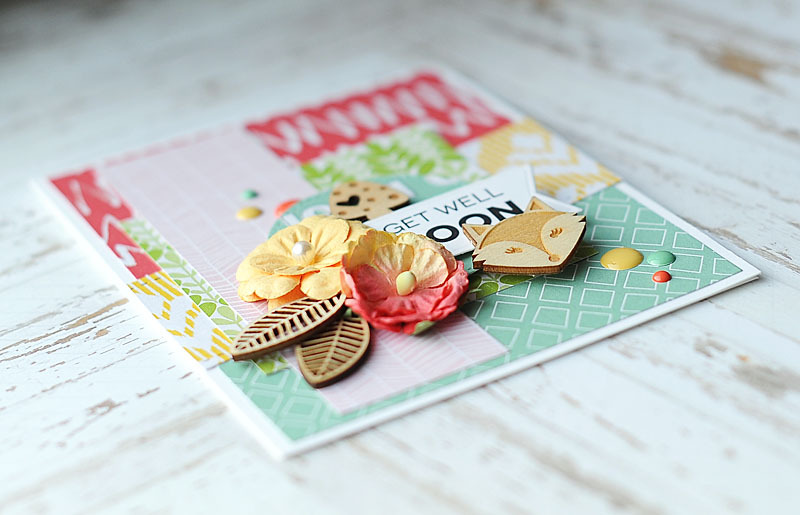 Gorgeous card - that little wooden fox is too cute! Wonderful use of PP! Thanks for linking up with us at colour me...! What a load of elements! Absolutely astonishing! Love it!! All the details, colors and elements absolutely blowed me off! 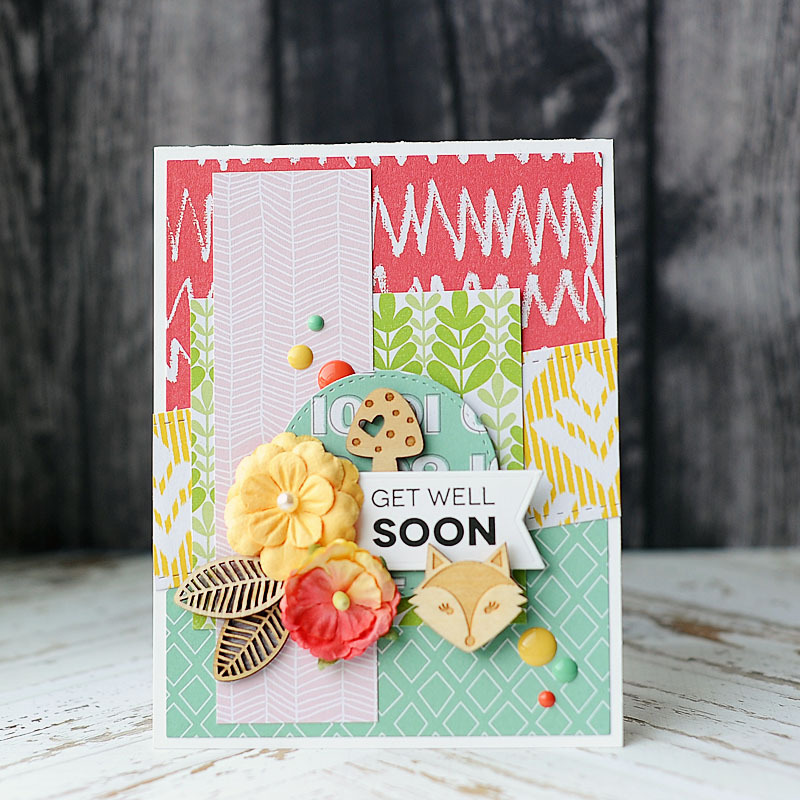 I really love the colors and the layering you did with this card! Love all your wood elements Lea! THANK YOU for joining us at Colour Me! Awesome combination of all patterned papers!! Lea, you are really ROCK!! Oh this is just gorgeous! 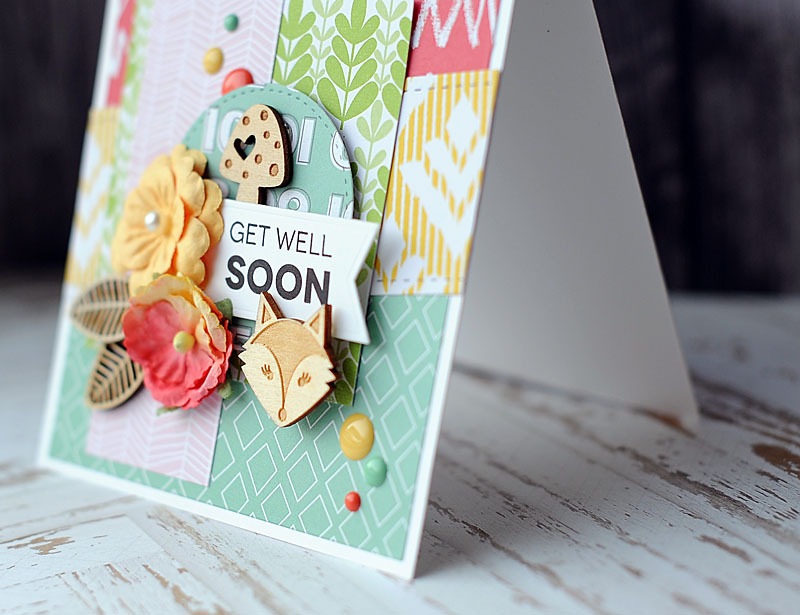 I love all the elements you've added to your card and your paper choices are perfect!